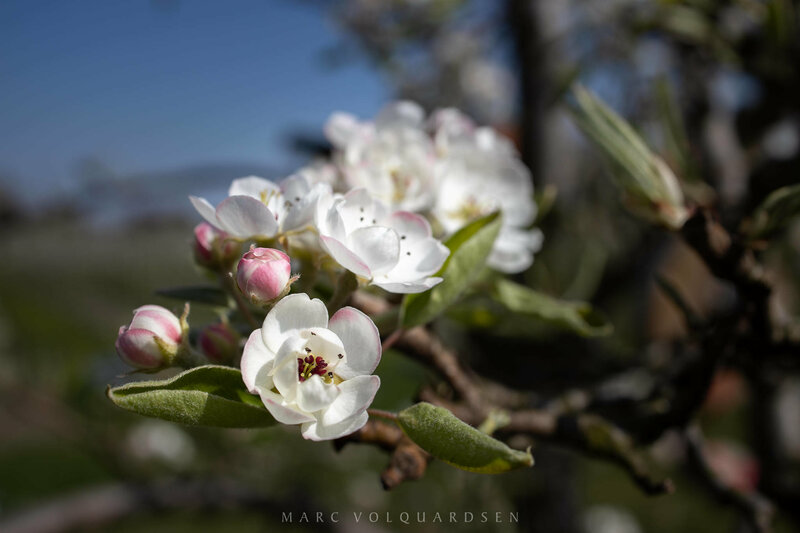 On Easter weekend I was in the fruit growing area »Altes Land« (near to the city of Hamburg) for a short visit, the cherry trees were in full bloom, but the pear and apple trees were just beginning to blossom. Some blossoms were already open, others still closed or rising. That was the attraction here, especially with the pear blossoms, which still show a hint of pink when closed and not everything shine in white. A classic view of Lüneburg: The Stintmarkt with the old crane from 1797. 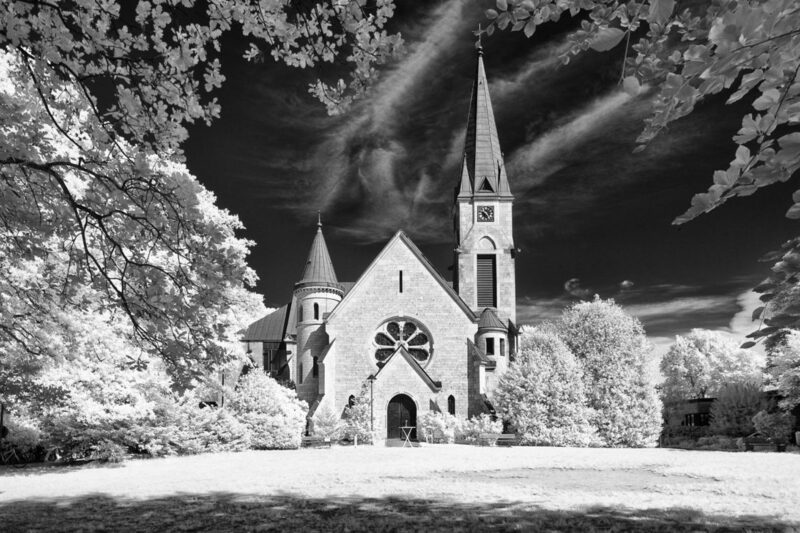 With this picture I open the infrared season 2019 — my 16th since the beginning of my infrared photography in 2004. 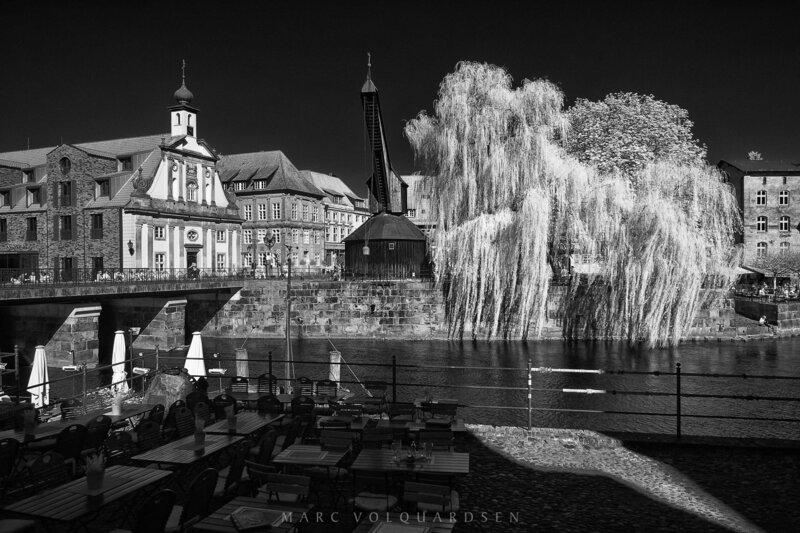 Today I had a day in Lüneburg and due to the weather conditions I had taken my infrared camera with me. It was so wonderfully warm that the cafés around the Stintmarkt were well visited, although I could take the chance that the tables in the foreground were just empty. I love so much the beam of light that runs from the front right over the cobblestones and also illuminates the railing. Like a finger pointing at the old crane! A classic view of Hamburg. The Sprinkenhof Office Building in the Kontorhaus district of the World Heritage Site. It’s no wonder that the entire quarter was given this status. 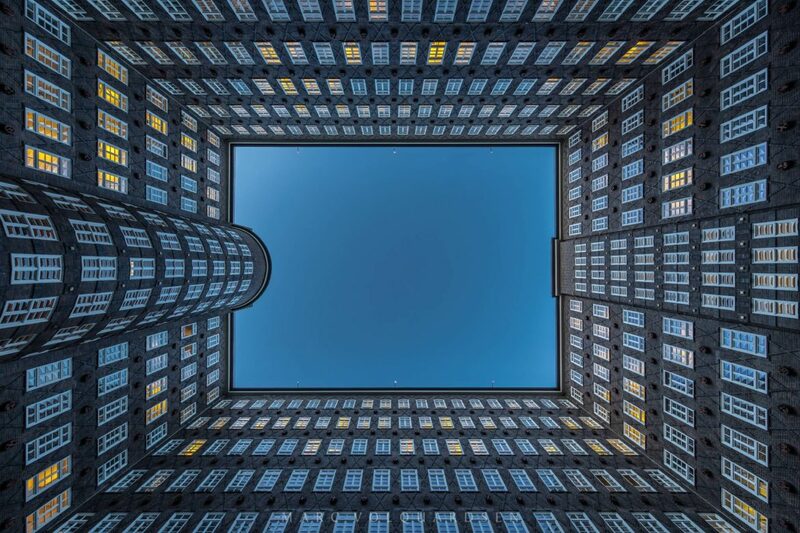 It is impressive to stand here in the courtyard of the brick building and look up. Many floors of dark brick with white window frames as contrast. I especially loved the light in the windows this winter morning. They give the picture a bit of warmth in contrast to the cool blue sky. I took the picture with the camera on a floor stand. I had to push the tripod plate back and forth for a long time until the building stood vertically in the middle above the camera. But the people who work here are accustomed to photographers making contortions in the courtyard. But a special atmosphere with the clouds. Only a small part of which were illuminated from below, resulting in a few bright spots in the picture. 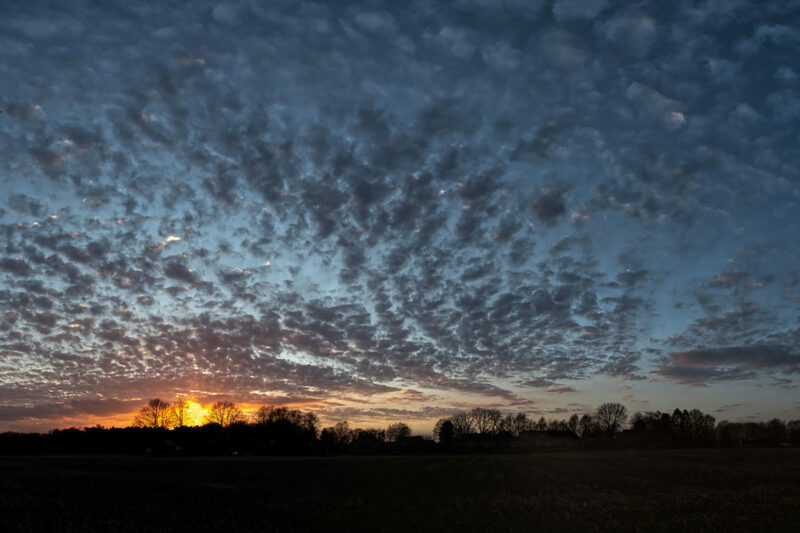 I especially loved the course of the clouds, which give the whole a strong spatial depth and draw the viewer into the picture. Almost every day I pass this little backyard in Harvestehude. Shortly after the Pöseldorf Center on the right side is this cobblestone courtyard. 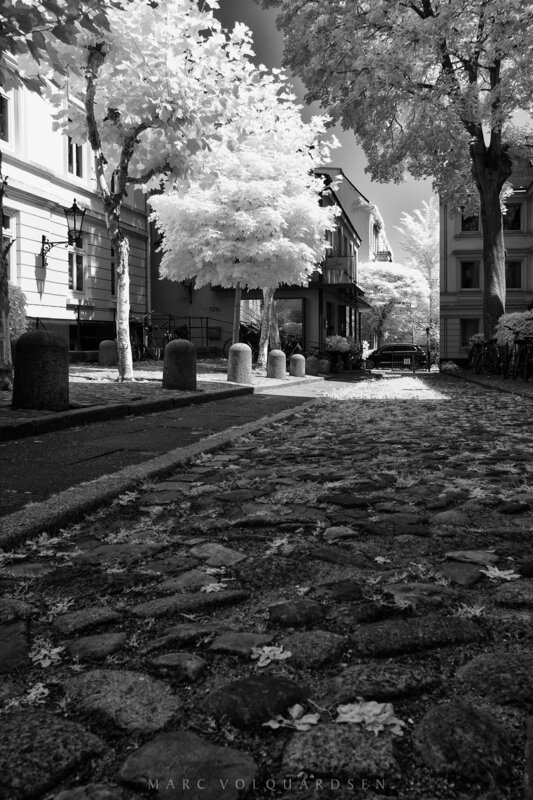 For my infrared photography the trees are so charming, even if I could not avoid to put the emphasis on the bumpy pavement in the foreground. In the background you can see the Magdalenenstraße, which runs through Pöseldorf parallel to Mittelweg. In the summer of 2018 I was frequently commuting between Soltau and Buchholz for 2 months. Due to a construction site closure of the street towards Soltau I had to drive mostly the small road (Grasengrund) between Deimern and the B3 — a road which is long distances laid out as a birch avenue. 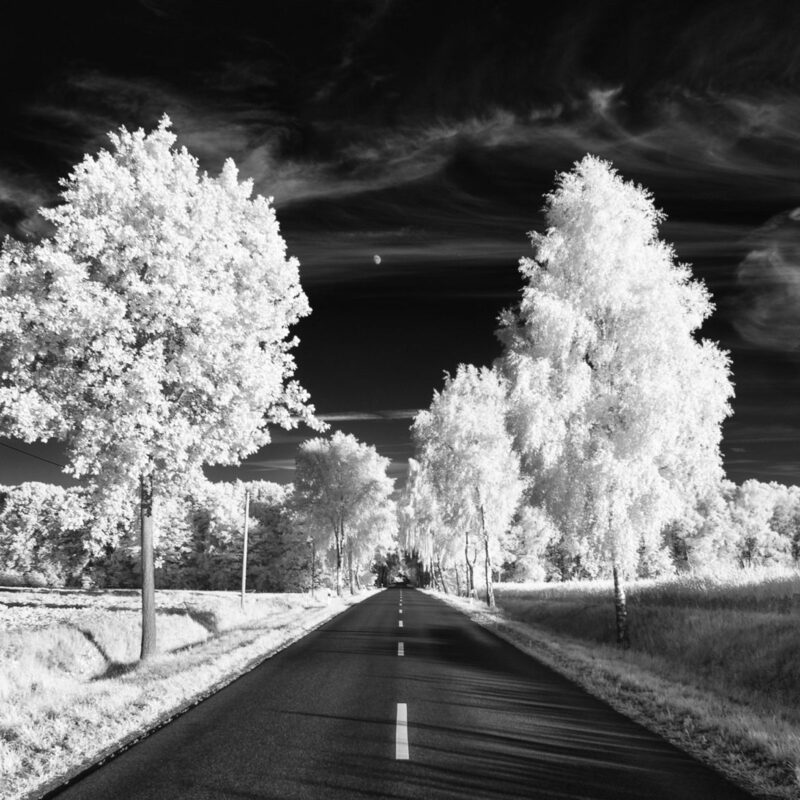 I had known for a long time what this birch avenue would look like as infrared photography, but there had to be an almost cloudless sky, because otherwise the contrast between the treetops and the black of the sky would not be given. One Sunday at the end of July I finally had the right weather. Only when I could see the motive on the display of my camera, I discovered the moon, which shone to my luck also still in the middle over the avenue! In addition a few veil clouds, which only made the motive more interesting. During my walks through Othmarschen in spring 2018 I also came to the Christus Church on a Sunday. It is beautifully situated on a park‐like meadow plot between Reventlowstraße and Emkendorfstraße. Just with the trees I once again found beautiful infrared motifs in it. I always like to photograph my infrared pictures under the canopy of trees to give my motives a natural frame. The leaves illuminated from the back always give such interesting nuances in infrared. On this day, the condensation trails on the sky also offered an exciting addition.